Someone to throw my son the ball at recess. Family dinners that last more than three minutes and that involve willing ingestion of vegetables that aren’t carrots. Barring that, the creation of vegetables that look and taste like carrots but are actually Brussels sprouts. My other son to find contentedness, and, with that, a good night’s sleep. My daughter to always sing to herself. My sons to continue to love playing the piano. May their fingers find the correct notes swiftly and more frequently. My husband to not have to work seven days a week. Even on the days he’s not working, he’s working. Longer walks for my dog, more squirrels for him to chase, and more neighborhood dogs for him to tussle with (in a friendly way). Independence from the good opinions of others. Or the bad ones. Easy access to that “It’s Friday afternoon!” feeling. Days in our pajamas with no one coming to the door. The ability to walk around strapped to a heated car seat. Because I love the heated car seat. A scented candle that makes me as happy as the people in the scented candle commercials seem to be. Pampers to stop running those Silent Night commercials because I burst into tears every single time. Inner peace that feels like a sunrise, full of promise. Or a sunset, with lush accomplishment. Tupperware with semi-attached lids that never get lost and close like a soft-close toilet seat. The desire to play Monopoly as much as my son wants me to play Monopoly. Ease when best, and challenge when needed. Fresh air and laughter and love. I will be back at the end of next week. My time is a wild animal resisting domestication. A casualty of that has been my hard-to-shake belief that reading for pleasure was a luxury during this time and place of motherhood. To sit still and travel, to be unavailable while fully visible, to ignore the now, to bathe in someone else’s imagination felt and feels decadent, and too often the to-dos make me feel unworthy of such extravagance. When young, I would devour fiction, consuming worlds at a pace that sometimes meant the beauty of entire swaths of words was sacrificed to gobble plot and character. But I grew up and responsibilities and goals took over, or were thrust upon me. Read for school. Build a resume for college. Learn for work. Keep reading for work. When I taught, almost all reading was career-focused: either trade publications or young adult novels that I could share with the students, or whatever the texts I had to teach that year. Even summer was awash in reading for others. I am not proud of this literary lapse. I suppose it was the heady, panicked sacrifice of “me time,” and then the sacrifice of not sleeping well for years due to early motherhood. I had no focus or energy. Once the kids were asleep, if I sat down, I fell asleep. I could read short pieces in spare moments, but I had no time nor ability to retain any information from a longer piece. Fiction didn’t interest me as I could barely make sense of my own reality. It was a fallow period. No wonder I couldn’t write. 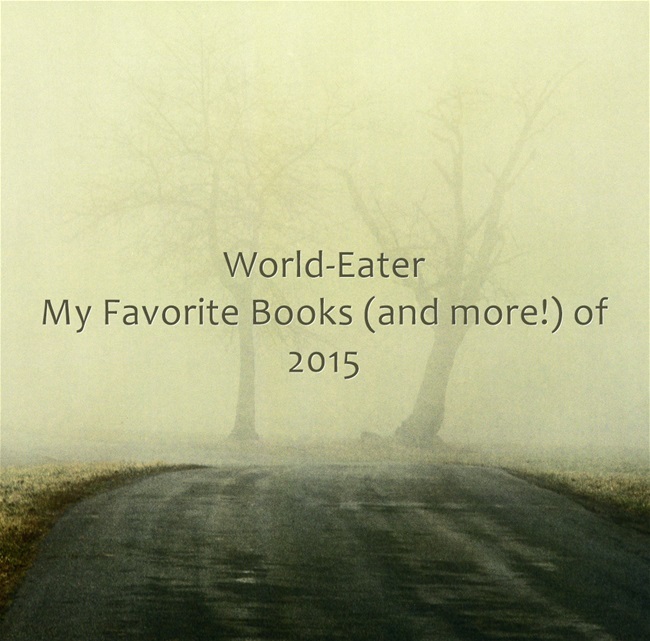 I wasn’t nourishing myself as a reader, and I decided to stop that nonsense this year. I tiptoed back into it, starting with books I could justify as helping my career or my volunteer work, then I allowed myself to completely sink into books that had no practical application whatsoever other than nudging me in all the right places. I still struggle to find time to read, mind you. But I insist on thirty minutes a day, minimum. No maximum. No excuses. Nora Ephron’s Crazy Salad and Scribble Scribble: Some Things About Women: A complaint on Goodreads is that this book is dated. I think that’s part of the fascination and charm for me, the ability to see certain parts of feminism in its second wave tween years. She wrote with a voice familiar to me, educated East Coast Jew who is highly amused by the whole rotten thing. Erma Bombeck’s Family – the Ties that Bind and Gag and am in the throes of Forever, Erma (which I am in the final pages of): The later more easily fits into my “sometimes I only have five minutes to read” lifestyle, but both are warm and hilarious and better than almost any “mommy blog” out there. The Second Coming by W.B. Yeats: I never thought I’d be one to read poetry on purpose. It seemed the stuff of English class and academia. What I fool I’ve been. Geek Love: Years after it took the world by storm, I plowed through this book with curiosity and hunger and a bit of reader’s vertigo. Katherine Dunn made me feel wonderfully woozy, a feeling I’ve so far only had when I’ve read John Irving and Chaim Potak. Nightingale: filled my lungs again. The Ocean at the End of the Lane: not a children’s tale, although a tale of childhood. Magical, lyrical, beautiful. I hated finishing it. I am fully on the Neil Gaiman fan-wagon. Have you (re)read America (The Book): A Citizen’s Guide to Democracy Inaction by Jon Stewart, et al. You should. There were other books, some better than others, all worthwhile. I long ago decided life is too short to finish reading a book for pleasure that isn’t. I fortunately had no books this year that I started and quit, although I am admittedly struggling to finish Damon Knight’s classic Creating Short Fiction. The New Yorker: There is nothing else that murmurs “Lazy Sunday morning with perfectly balanced coffee” as this magazine does. Writer’s Digest: pleasant and more often useful than not. It takes a spectacular show for me not to fall asleep in front of the television. Jon Stewart kept me awake, informed, and impassioned. I mourn heavily the loss of him on my watch list. I do love the man and his team. He may be the reason we finally break down and get HBO. Speaking of HBO, my husband and I are finally watching Season Five of Game of Thrones. We have to wait until it comes out on Amazon prime. It’s a rich show, but not too rich to binge upon. As the kids are enjoying two (!) nights at Grandma and Grandpa’s, we should be done with the whole season by the New Year. Then the wait begins anew. I enjoy Shark Tank for the sheer Americanness of it all. The tackiness. The hopeful. The stories. The earnestness. The money. The math. The occasional “But I worked so hard!” The ingenuity. I watch Walking Dead between my fingers. I Doctor Who and I Star Trek and I Firefly whenever I see it on. Archer makes me laugh without fail. My movie list has films dating back over a decade. I think I went to two movies in a theater this year, both children’s movies. Neither worth mentioning. My family loved watching Inside Out and all the Harry Potter movies. Ultimately though, I enjoyed the act of once again being a pleasure-seeking world eater. I’m not one for overly sentimental end-of-year posts nor overly precious goal-setting. I find both mawkish and mildly suffocating. I do like to timestamp my life every once in awhile, however. I try to be curious. A written meditation, of sorts. Spoiler alert: I am happy. This year started off with heartache, as my friend and mentor Jason passed away. Only days before his passing, we’d met to discuss two productions I wanted him to work on with me. In his way, he agreed without bartering or guilt, only excitement, a discerning eye, and acerbic wit. I am in a writing partnership with a wonderful team, working on a short film. It has been an excruciatingly slow process, as we all have jobs and commitments and responsibilities, but the work is good. I lept this year. Scary Mommy published one of my pieces, which was thrilling and brazen and showed me very quickly that I have much to offer and much more to learn. I took several online writing courses and enjoyed being a student. If it hadn’t been an online course, I would have gleefully skipped to the store and purchased many composition notebooks and pencils. Instead, I purchased notebooks and folders for my own work (which I printed out) and the wisdom of the instructors and my classmates. I grew stronger and more humble as a writer. There are many wonderful online writing classes. Do try the HerStory Project courses specifically and that website in general. I had two essays accepted for publication in two anthologies that will be coming out in the spring. My head spins and my heart races. I have another essay that will be published online in a few weeks (stay tuned!) and two that are awaiting a decision. Another essay will be resubmitted at the request of the editors for a separate anthology. Just yesterday I learned I will have a piece included in a memoir magazine. I had three rejections. The rejections mean I am taking a risk and living my version of, if not The Dream, at least A Dream. NaNoWriMo 2015 changed my life, helping me separate the writing from the rewriting, the art from the science, the whoosh of creation from the drudgery of editing. I wrote and breathed for what felt like the first time in twenty years. The writing has waited patiently for me and now I cannot get to it enough. 2000 words a day now; I have 30 or 40 works in progress that now need some hand holding (or, more correctly, a smart rap on the knuckles) to reach completion. I still miss Jason and hope somewhere he is peeking over my shoulder at my Submittable page and nodding sagely with a twinkle in his eye. 2015. The Year of WorkFun. Coming Soon: my 2015 knitting creations (unfortunate and otherwise) and favorite books and other consumables (all fortunate) and my least awful status updates, blog posts, and photos. These will be spicier, because what’s the holiday season without a little oomph?